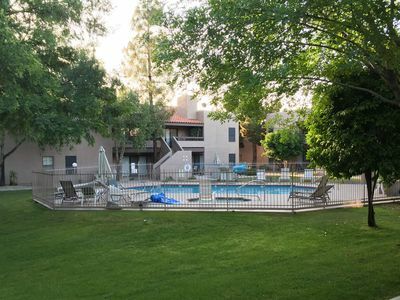 Grayhawk Condo: Beautiful Grayhawk area Condo with great amenities! 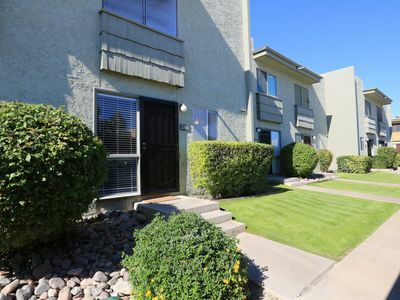 This lovely 2 bedroom/2 bathroom 1 car garage 2nd floor condo is in high demand and located golfer country in North Scottsdale. 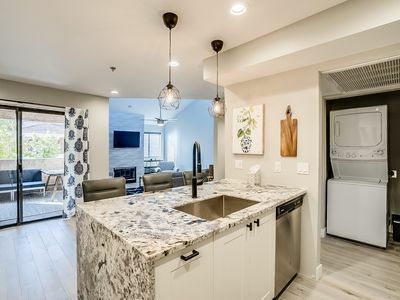 This condo complex has all the touches of luxury. 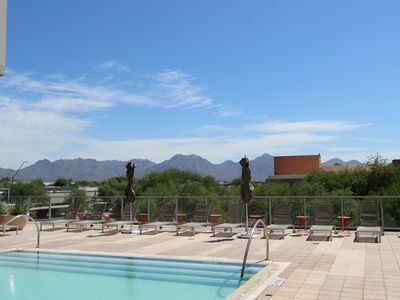 Work on your tan and watch the kids play in the resort style pool or snuggle as a couple in the hot tub. 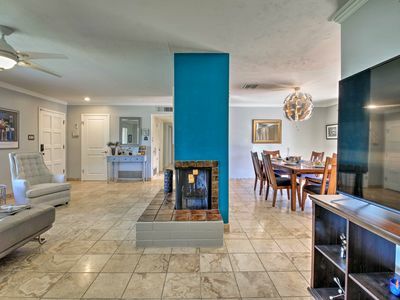 Get cozy after a long splash in the pool in front of the outdoor fireplace where you can enjoy some family time. 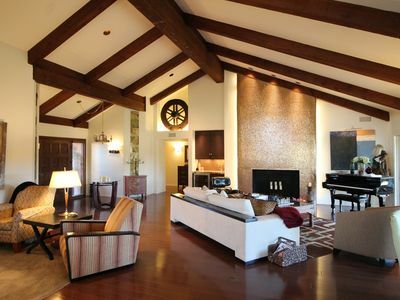 Want to entertain guests? Great! 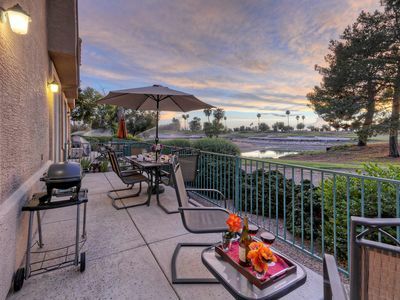 This complex has grills to get those hamburgers, steaks, and hotdogs ready. A movie lover? This community has a movie theater with over 100 titles. 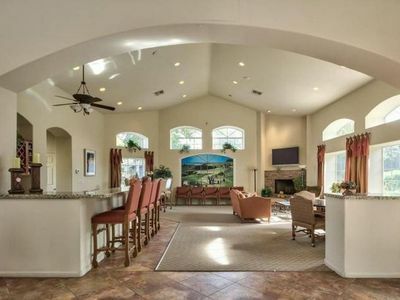 Take a nice sip of wine at the community wine bar. The community also has a state of the art fitness center, billiards, videos games and a demonstration kitchen for that chef in the making! 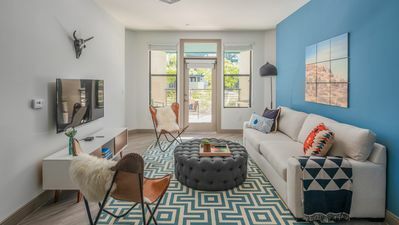 When walking into the condo you are greeted with a fresh modern look including colorful dining seats and super comfy sofas. 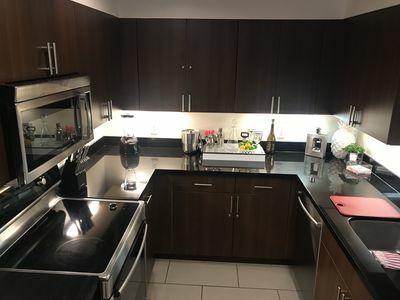 Breakfast is made easy with the dine on counter in the kitchen. 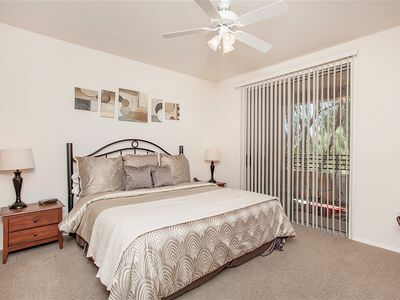 The master bedroom has a large King bed with a TV, Queen in 2nd bedroom & Queen sleeper sofa.. 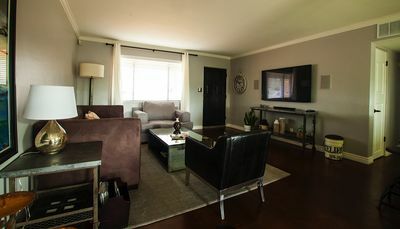 This condo requires a 90 night minimum rental period. 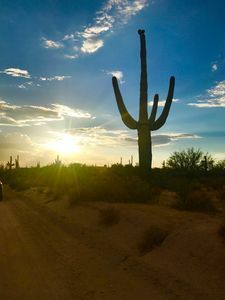 Honor Health Scottsdale Thompson Peak is only 5.6 miles away..
-All Guests must check in at the Casago Vacation Rentals Scottsdale Office. Office address will be provided upon booking. 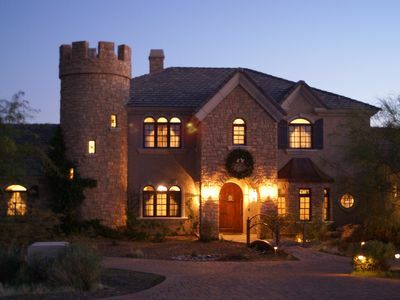 -Direct or Concierge Check In is available for an additional fee. -Check in time is 3:00 PM to 8:00 PM on date of arrival. -Check out time is 10:00 AM on date of departure. -Utility caps apply. Utility overages will be charged to a credit card on file. 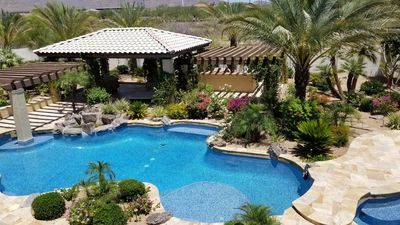 -During the months of October through April, homes with heated pools will require additional deposits. 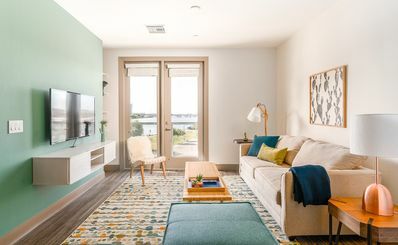 Make YOUR Next Vacation Epic-Stay in the Quarter-Two Bedroom with Bonus Room. 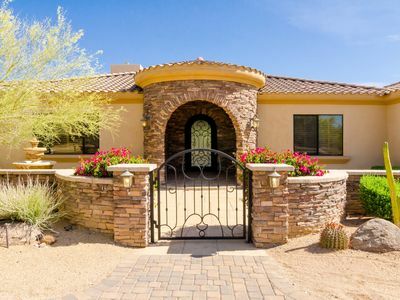 Elegant Mesa House on Golf Course w/ Private Pool! 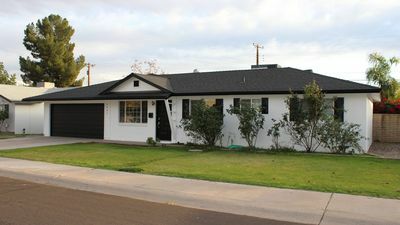 NEWLY LISTED!!! 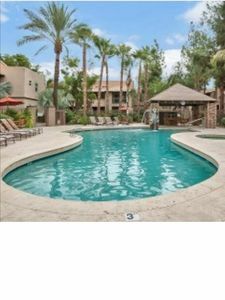 Central Scottsdale Haven- HEATED POOL! 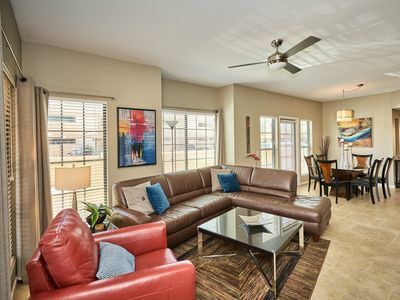 Scottsdale Condo, 2 bedroom 2 bathroom off McDonald and Scottsdale rd.